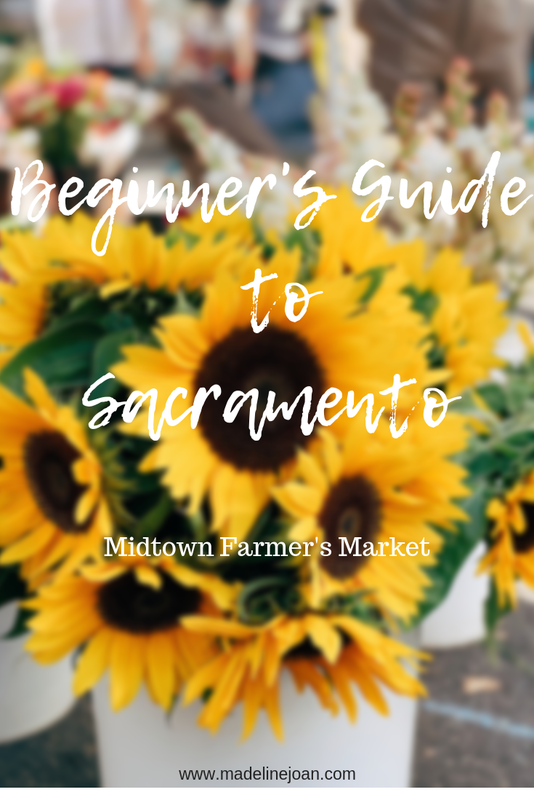 Midtown Farmer's Market located right in the heart of Midtown, Sacramento! This is the place to be every Saturday morning! The Midtown Farmers Market is open all year-round, weather permitting and hosts up to 90 vendors each week! Located on 20th St between L and J, this Farmer's Market is always lined with people shopping for some yummy produce and supporting their local businesses! My favorite thing to do is ride a Jump Bike over to the market and grabbing a fresh bouquet of flowers for the apartment! If you're ever in the area for the weekend or looking for a fun place to relax with friends & a cup of coffee, head over to the Midtown Farmer's Market!